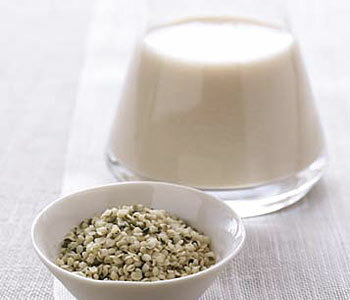 Recipe: Homemade Hemp Milk… great alternative to dairy! This tastes way better and is much fresher than the store-bought version… and doesn’t contain any preservatives or funky additives. Throw all in the blender and blend for a minute or two. Keeps for 5 days or so in the refrigerator. Shake when ready to use. Add frozen strawberries and a little coconut sugar, raw honey, or stevia… makes a great strawberry milkshake! Hemp seeds are actually a fruit. They have a mild, nutty taste. The seeds are a vegan source of biologically available and easily digested protein and contain all 10 essential amino acids. Three tablespoons of hemp seeds contains 11 grams of protein! Hemp seeks contain a good ratio of omega fatty acids, which are anti-inflammatory… and the list of benefits goes on!